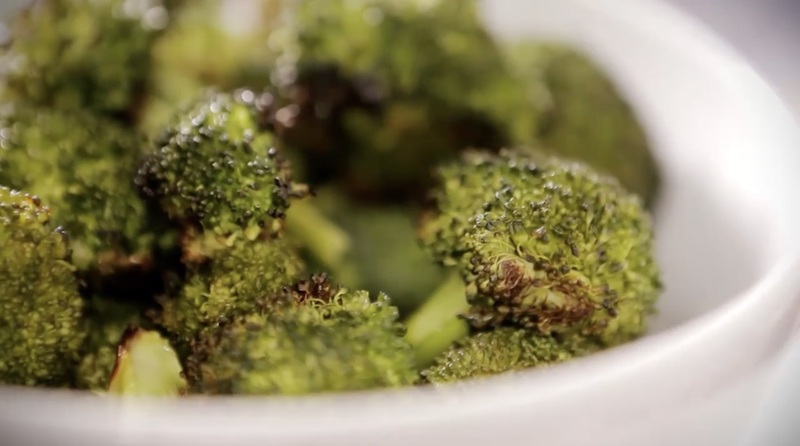 Preheat the oven to 375ºF, then start by washing the broccoli florets under cold water and dry. Then in a large bowl, add the olive oil, garlic, and lemon juice and pour evenly over the broccoli. Season the broccoli with half of the garlic salt. Place the broccoli in the oven and cook for 12-14 minutes, then remove and add the unsalted butter and remaining garlic salt to serve.